Changes have been set in motion to restrict those earning less than $20,000 from borrowing not more than $3000 from licensed moneylenders. The amendment passed by parliament on 8 Jan is the government’s attempt to curb cases of over-borrowing that led to 610 individuals becoming “over-indebted”. However, a more pressing concern raised by Members of Parliament (MPs) was how such restrictions may lead to more people engaging ah longs for their financial needs. With tighter access to quick financial aids such as moneylenders, worries of people turning to ah longs have been raised by other MPs. The main concern was that restricting loan amounts may compel people to further resort to illegal alternatives, including involving themselves with loansharks. A counter-argument by Senior Minister of State (SMS) Indranee Rajah emphasised how arrests for unlicensed moneylenders continue to fall. She mentioned that during the 2015 tightening of loans, there was no “evidence to suggest” that such restrictions will increase unlicensed moneylending-related crimes. Let’s find out how true this rebuttal is. Ironically, the police declared a “31% increase” in arrests regarding loanshark activities. The arrests were as a result of police crackdown on unlicensed moneylending syndicates. Hence, statistics do reflect the authorities’ major blow against ah longs. This already pokes major holes in Ms Rajah’s statement as she claimed that “arrests for moneylending” have been falling. Anyhow, a fall in arrests may not necessarily mean a fall in crime. It could also mean that police were unable to catch the culprits involved. We at MustShareNews decided to probe further into some statistics on crime rates in Singapore. Interestingly, theft-related crime rates were actually the ones falling. No statistics are currently available for how many people actually patronise dubious loansharks. At best, these statistics only show who are unable to repay loansharks and are harrassed as a result. As for the people who are able to repay their debts, we might never know who or how many there are. All in all, we cannot simply use crime rates to accurately portray the prevalence of loanshark activity in Singapore. With greater restriction imposed on how much money people can borrow, there will be those who need more than the restricted amount and be willing to utilise other means to get the money. Previously, individuals were able to receive various capped loans from different companies. This meant that there’s no restricted number of loans a person can get. Under the revised bill, individuals whose yearly income is less than $20,000 can only take up a loan of up to a maximum of $3000 collectively. As for those who earn more than $20,000 annually, their loan limit will be capped at six times their monthly income. This cap currently only applies to money-lending firms, however. It wasn’t specified if this was applicable to personal bank loans as well. However, there are valid rationales behind the amendment. At the moment, 61,000 people collectively owe more than a third of a billion dollars to moneylenders. The proposed changes are intended to prevent debts from accumulating even more. 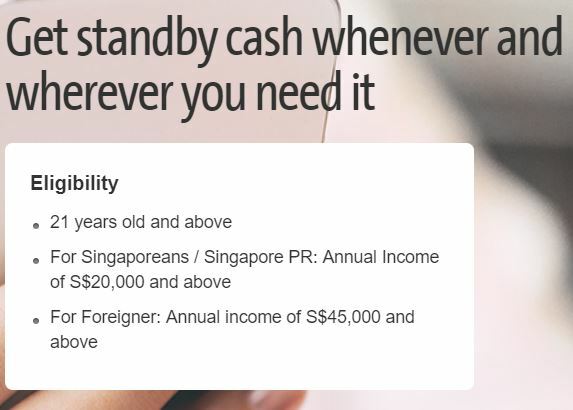 Nevertheless, private moneylenders have traditionally been an accessible route for individuals to access loans without the high requirements that conventional banking institutions have. Unfortunately, with the new changes to our Moneylenders Act, those looking for personal funding may just have to consider alternative ways.